Theodore C Heuck, a German, arrived in the Islands on the British brigantine “Cheerful” January 20, 1850, after a long voyage from Australia. On March 4, 1866, Heuck submitted a drawing and verbal description of the proposed Barracks to Governor Dominis – a romantic betowered building of coral rock in the Victorian military style. 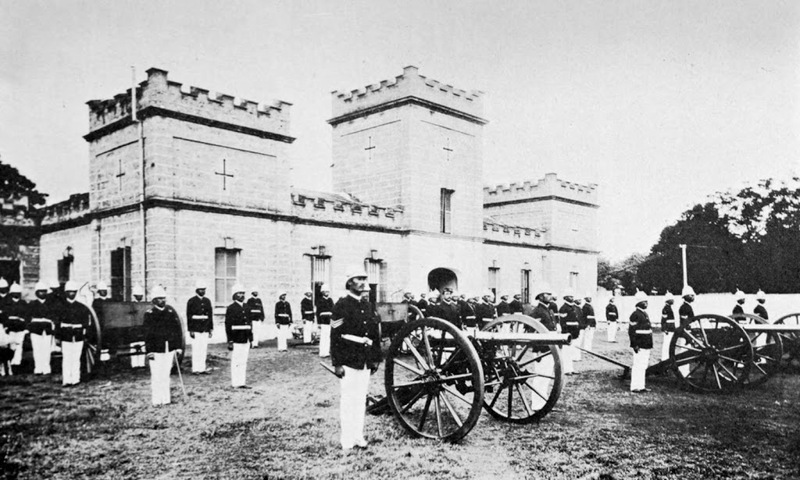 (HHF, Peterson) In 1870, Heuck was contracted to design and build the barracks for the Royal Guard. Heuck had proposed a building of 70 by 110 feet with an open central court of 30 by 40 feet. These dimensions were increased to 84 by 104 and 35 by 53-feet respectively. (HHF) Additions were later made to the original open rectangle. The Barracks predated ʻIolani Palace (1882.) When the Place was later built, the Barracks was originally located mauka and Diamond Head of it. 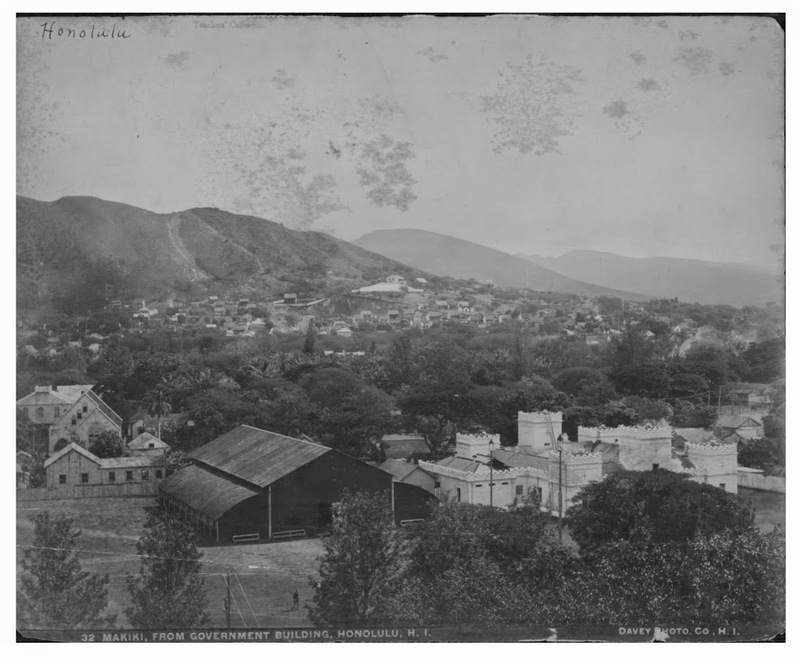 In 1893, the Provisional government disbanded the Guard and used the Barracks for munitions storage. The Territorial government took it over in 1899 and used it for office and storage space. After renovations in 1920, it became a service club for about a decade. In 1929, following another ‘sprucing-up,’ including a coat of white paint or plaster, various government offices occupied it until 1943 when plans were announced for a military museum. However, Halekoa was in the way; the Barracks was condemned and, in 1962, abandoned. In 1964-65, to make room for the new capitol building, the coral shell of the old building was removed to a corner of the ʻIolani Palace grounds for eventual reconstruction. This was accomplished by breaking out large sections of the walls. Then stone masons chipped out the original coral blocks and re-set them. Many were so badly deteriorated that they were unstable. Several other older buildings in the area, including the large vaulted-roofed Armory and the remnant of the older Central Union Church on Beretania Street, facing the Queen’s former residence at Washington Place, were also demolished to make way for the capitol building.